Simple dishes are sometimes more of a challenge to master. Fried rice falls into this category. In many cases leftovers are used to prepare it. There is nothing wrong with that. Fried rice can be an elegant dish with fresh ingredients and careful preparation as is presented in this video or as a fast solution to what leftover you have in the fridge. In any case, the result fried rice should be a Proud Dish! Each and every one of the rice grains should have its self esteem intact and infused with flavors. If your fried rice tend to come out mushy and oily, or if you have hard time to get a balanced taste, this video tutorial is for you! 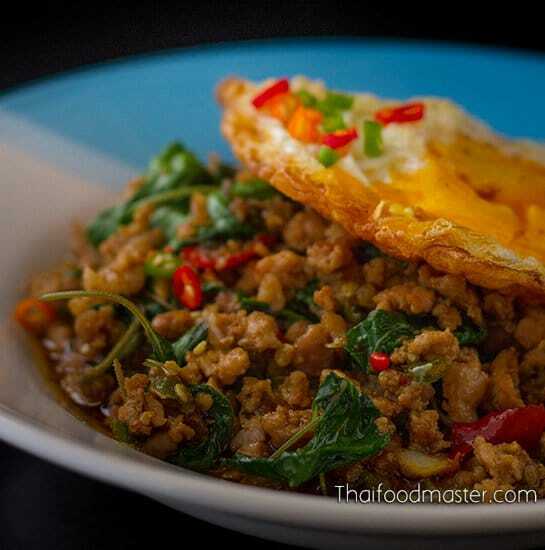 I will show you here in a very simple way how to fry the prefect fried rice. I will show you how to bring together the flavors to each rice grain without massacring or drowning them in oil. For this video, I have chosen to present from the uncountable fried rice recipes my version of elegant, fried rice with crabs. A gourmet version that compliment the crab sweetness and is not at all that hard to prepare. I am using fresh home steamed crabs, fragrant long grain Thai Jasmine rice and organic eggs. The seasonings are minimal — only light soy sauce and yellow bean paste, a pinch of sugar, salt and white pepper. I am taking great care not overpower the fresh delicate sweetness of the crabs with aggressive seasoning. To further enrich the crabs flavor and giving it a silky texture, I am using a bit of unsalted butter to scramble the eggs before adding it to the rice. You may notice that I am gently scrambling the eggs, keeping in threads both the yellow color of the yolks and the egg whites colors to compliment the overall dish texture and presentation. Classically Crab fried rice is served with a wedge of lime, and garnished with spring onion, coriander and the crabs claws. I personally find fried crab rice to compliment green chili relish, Shrimps fried in basil or white snapper fish meat salad. I wanted to comment on the Matsaman recipe, but the comments are closed. It contained the best instructions that I’ve found on the web. It was the only Matsaman (massamn, masaman, masamun) recipe that demonstrated in detail how the beef should be cooked first, then the potatoes, and the onions are only added in the last five minutes. This is crucial in making sure all ingredients are cooked to perfection. It tasted as good as my my favorite Thai restaurants version. Well done! I’m going to try this perfect crab fried rice next. Great job! Two thumb up! We made this and enjoyed it. We are a Thai (husband)-American (wife) couple living in the US. We have learned to make many curries, yams and stir-frys well but have never made good fried rice. This was the best so far! Thanks! 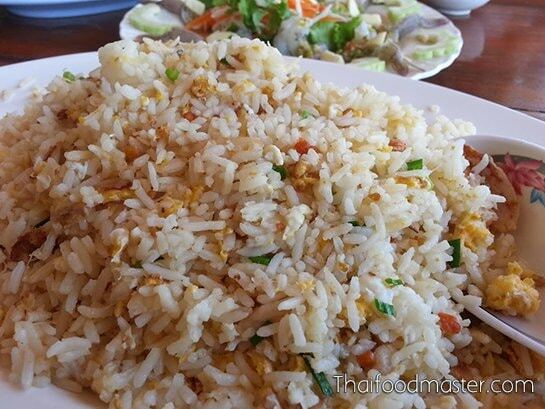 Amazing recipe for crab fried rice. Must admit I changed you recipe as I used shrimp not having crab available when I was in the mood to cook. I am at best a mediocre Thai food cook. My fried rice has always suffered from being oily or mushy. 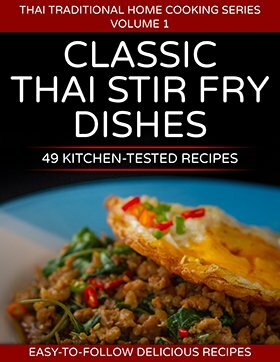 I never took the time to watch a good cook while in Thailand to learn the technique they used when I found a cook who knew how to make great fried rice. Other than using shrimp for crap I followed you recipe to the letter and this dish turned out amazing. The rice was fluffy and moist without being wet. It was full of flavor. I now understand why your recipe is much better than any approach I have ever used. By mixing the flavor together in a water base, not oil, it allows the rice to absorb the flavoring without becoming oily. Even if a cook gets the rice a little over wet as I did he or she has only to add a little more rice or just toss and cook it a bit longer so the rice turns out soft and fluffy. Your technique is far superior to any thing I have ever used for fried rice. Thanks for the great video, especially the video listing of ingredients. My wife enjoys your background music. The dish which I am ready to try next is the curry scrambled eggs and shrimp. I have eaten that in Thailand and always enjoyed it. Sawatdee kha khun Hanuman, First of all, I love your name. I just watched you on the Princess’s Diary show and decided to check out your website. I am very impressed by your talents and skills. Thank you very much for making this website. You know a lot more than I do (and I am Thai). I am certain you can cook way better than me as well. I love the VDO tutorial. I hope you put more videos with audio/sound. It will be great resource for visual and auditory learners. 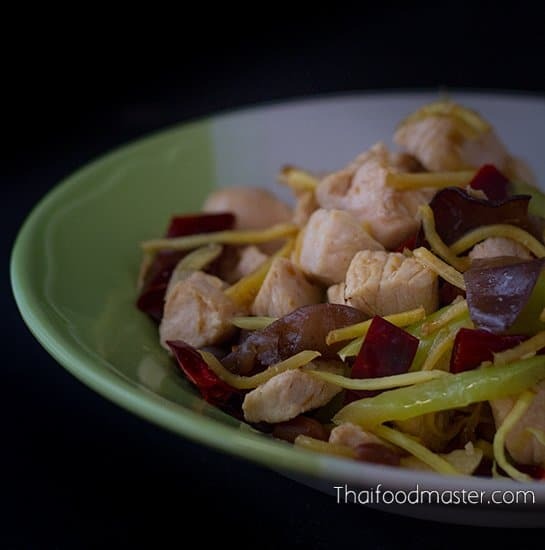 Since I love to eat “khaaw phad puu” very much, I will make this dish tonight. 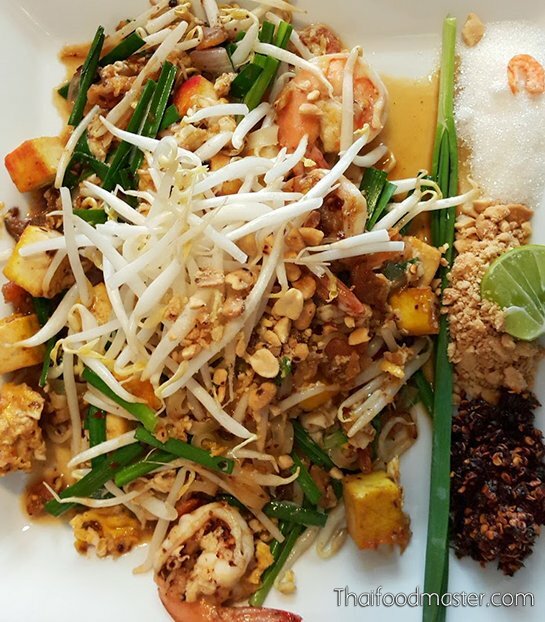 Yes, I can get this dish at a Thai restaurant in the area (I have been living in the US almost 15 years) but the restaurant, I love to go to, is always packed. I have to go to whole food market to get some crab now. Thanks again and keep up the great job! As I was checking on the Fried Fish with Three Favor Sauce on the internet, I came across your website. I was impressed by your step-by-step videos. It is the best I have ever seen. Although I have not had a chance to try your recipes, I just want to let you know that I greatly appreciate your brilliant ideas and efforts in making your cooking website attractive and meaningful. I am so excited to try many recipes. you are welcome! thanks for the kind note..